Bleach- and alcohol-free disinfectant wipes clean and deodorize highly sensitive workspaces. Safe on vinyl and nonporous surfaces, wipes provide maximum coverage on hospital beds, carts, counters and exam tables. 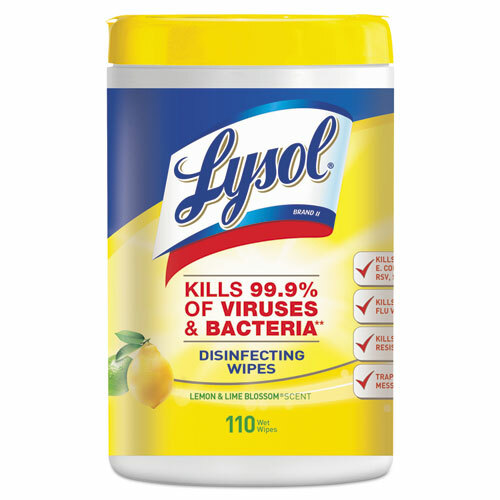 Kills 99.9% of germs on hard, nonporous surfaces. Citrus, lemon and lime scent. 110 Wipes per Container. 6/case, sold by the case.